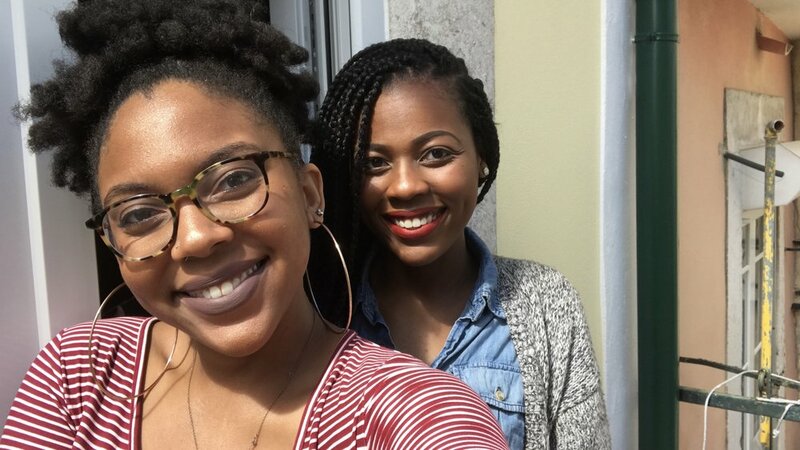 Last month, Gab and I took our talents to Portugal and had a Top 5 friendbaecation. Her penchant for engaging with people of different backgrounds and understand their “why” (ask her about international Uber drivers) and my love for exploring cultures through food, made for a perfect combination. While our activities were plentiful (wine tasting, a beer museum, shopping, walks along the river) the highlight for me was the definitely the food. Portugal has a rich and varied gastronomic history, highlighted by its position in southwestern Europe. Often overlooked in favor of the culinary greats (France, Spain, and Italy), for centuries Portugal has quietly hummed along creating and crafting regional delicacies that are in a league of their own. Like other major European empires, Portugal’s cuisine has and is influenced by its colonial past with Asian, African, Brazilian, and Indian flavors/elements. That being said, you can find any and all food ‘types’ when you visit. During our time in Lisbon, Gab and I had both traditional meals (salted garlic cod and potatoes) and others reminiscent of the colonial past (yellow curry). Night 3. Chiado, Lisbon, Portugal. My favorite dining experience, however, was our time at Versiculo d’O Faia in the Alfama district. We actually stumbled upon the restaurant in an attempt to find Fado, the traditional Portuguese music that’s often described as the “Soul of Portugal.” The restaurant itself was small and quaint with a friendly waitstaff. We ended up having a dinner that was about 2.5 hours long and our server was the chef’s brother! Though every dish was impeccable, the highlight was the garlic shrimp. When you visit Portugal, you will find that many of the seafood dishes are simply prepared- garlic, salt, and oil. And as any foodie knows, simplicity reigns supreme. In an attempt to give you all a tiny bit of my euphoric dining experience, see below for how you can re-create this simple dish! Pair with a crisp white wine (Tip: a Sauvignon Blanc will pair well with the garlic) and fresh, crusty bread for a hearty first course. Bom appetite! Night 2. Garlic Shrimp at Versiculo d’O Faia. Alfama, Lisbon, Portugal. Set aside your peeled shrimp and minced garlic (don’t used anything from a jar, do it yourself!). Heat your olive oil in a cast iron skillet (a heavy bottom pan will also work). Quickly toss your shrimp with the sea salt and pepper. *Note: The amount of seasoning you use is dependent on your taste but I’m sure the whispering of our ancestors will tell you when you should stop. Once the oil is smoking (you can pre season your shrimp before heating the oil if you’re afraid of not moving fast enough), add garlic and paprika and sauté lightly until it begins to brown. Once the garlic is browned, add your shrimp and make sure you put the shrimp in a flat layer. Cook on both sides until pink. Quickly transfer shrimp (including the garlicky olive oil!) to your serving dish and squeeze lemon juice all over. Serve garnished with sprinkled parsley and crusty bread.